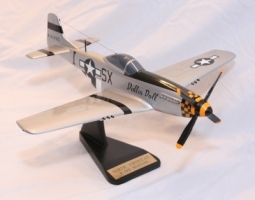 Old Crow was the P-51 of Bud Anderson who flew two tours of combat against the Luftwaffe in Europe. 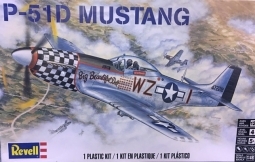 He was the 357th Fighter Group's third leading ace with 16-1/4 aerial victories. 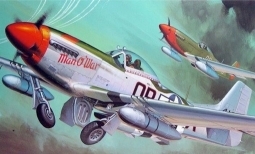 Old Crow carried him safely through 116 missions without being hit by fire from enemy aircraft and without Anderson ever having to turn back for any reason. 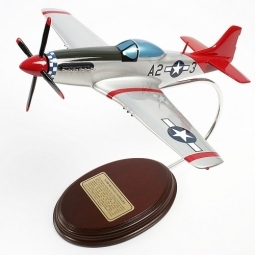 He returned to the United States in February 1945 as a major. 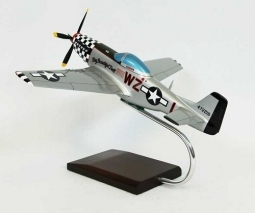 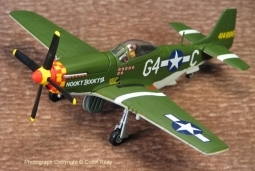 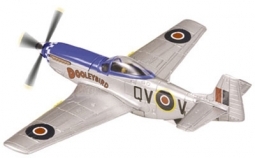 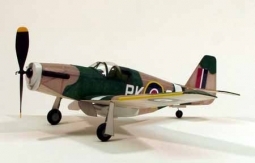 Desktop Model North American P-51D Mustang "Old Crow"